Agilent Technologies Inc. (NYSE: A) has announced that Bluetest AB now supports Agilent's PXT wireless communications test set. 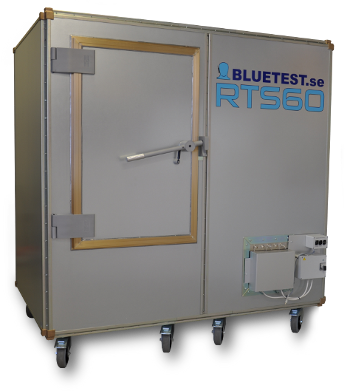 The Bluetest RTS (Reverberation Test System) uses the Agilent PXT test set to evaluate LTE devices over the air. "The performance of our measurement systems relies heavily on the capability of the test equipment we support, so we are pleased to announce that, in working closely with Agilent, we now offer this complete solution to our customers," said Kjell Olovsson, CEO of Bluetest. "Our compact RTS offers high-speed and high-performance OTA measurements that provide accurate and repeatable results." "We are delighted that Bluetest chose to integrate the Agilent PXT wireless communications test set," said Andy Botka, vice president and general manager of Agilent's Microwave and Communications Division. "This expands the application coverage of the PXT, and really helps our mutual customers to get quality products to market quickly." The Bluetest RTS is an accurate and cost-effective reverberation test system used to verify wireless devices and small antennas over the air. Bluetest's unique patented technology enables the user to perform MIMO OTA tests in an isotropic multipath environment. Bluetest offers measurement options for all cellular standards and many other wireless communication protocols. Easy and fast maintenance, calibration and measurement setup give the user the opportunity to minimize time to market. Users can perform TRP, TIS and throughput tests faster with Bluetest RTS than with any other solution. The Agilent PXT wireless communication test set represents a significant breakthrough in testing LTE user equipment. It incorporates flexible base station/network emulation and RF parametric tests into one integrated unit and extends Agilent's unmatched portfolio of LTE test solutions for development and verification. The PXT hardware is configurable with a number of advanced test and analysis software options.